Arrive and depart using the following private airports in St. Louis, Missouri to reach the Gateway City and neighboring areas of the Midwest. The Gateway City is a major aviation hub in the Midwest, with (KSTL) Lambert–St. Louis International anchoring the southeast corner of the region, and 4 additional private aviation hubs available within 25 nautical miles of the city. It’s home to a rich aviation history, and local airfields have played an important role in aviation during its early years. The first flight ever made in St. Louis was in 1909 made by Glenn Curtis, a famous aviation pioneer and one of the founders of the American aircraft industry. In 1927, Charles Lindbergh, who worked in the area as a commercial and airmail pilot, performed the world’s first transatlantic flight from Long Island, New York to Paris, France in his famous “Spirit of St. Louis”, which bears the name in homage to his Gateway City business investors, including Albert Bond Lambert – Lindbergh left for New York from Lambert Field, which now serves as the city’s main aviation gateway. Commonly known as Lambert Field, Lambert–St. 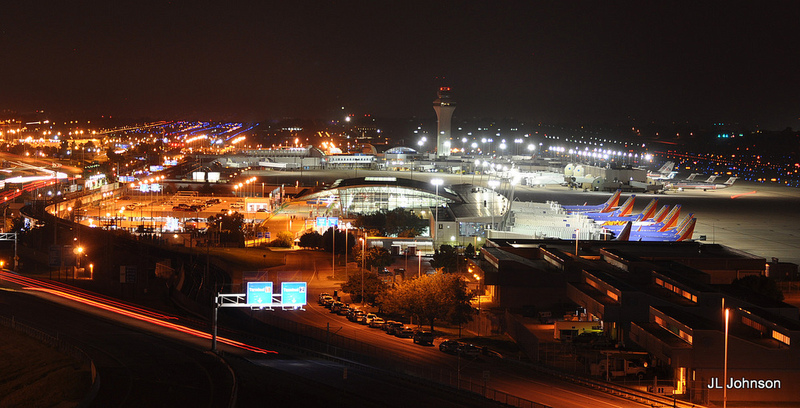 Louis International Airport (IATA: STL, ICAO: KSTL, FAA LID: STL) is the largest, busiest airport in the state of Missouri. Located 14 miles northwest of downtown, it’s the city’s primary aviation hub, with (KBLV) MidAmerica serving as a secondary metro airport. Originally Kinloch Field, a balloon launching base that was part of the 1890’s Kinloch Park suburban development, the field received a famous visit from the Wright brothers while touring with their aircraft, and in October 1910, Theodore Roosevelt flew with pilot Arch Hoxsey, becoming the first U.S. president to fly. (KSTL) Lambert Field would go on to gain international recognition throughout the 20th century, thanks in part to its association with famed aviator Charles Lindbergh, its groundbreaking air traffic control, its status as the hub of Trans World Airlines and its iconic passenger terminal – designed by Minoru Yamasaki, Lambert Field has been the inspiration for terminals at John F. Kennedy International and Charles de Gaulle Airport. Located on the grounds of Scott Air Force Base in Belleville, Illinois, MidAmerica St. Louis Airport (IATA: BLV, ICAO: KBLV, FAA LID: BLV) is a public use airport in St. Clair County. (BLV) MidAmerica is located around 26 miles southeast of downtown, providing an additional landing option for flights heading to the area – it’s classified primary for commercial service, but it’s location has made it a popular private aviation hub as well. Due to Allegiant Air offering commercial service from MidAmerica, the two runways here are large enough to accommodate aircraft of all sizes, including VIP airliners and corporate business charters. AVMATS operates an FBO at (KBLV) MidAmerica Airport, featuring a passenger lobby, crew lounge, conference room and wireless internet access. Although the FBO has scheduled service hours (7am – 7pm), 24 hour assistance is available through prior arrangements. Book a private flight to St. Louis Downtown Airport (IATA: CPS, ICAO: KCPS, FAA LID: CPS), a public-use airport located in St. Clair County, just one mile east of downtown Cahokia, Illinois. The Downtown Airport is located less than 3 miles from the Gateway Arch Riverfront, and is the preferred landing spot for many flying to the area. 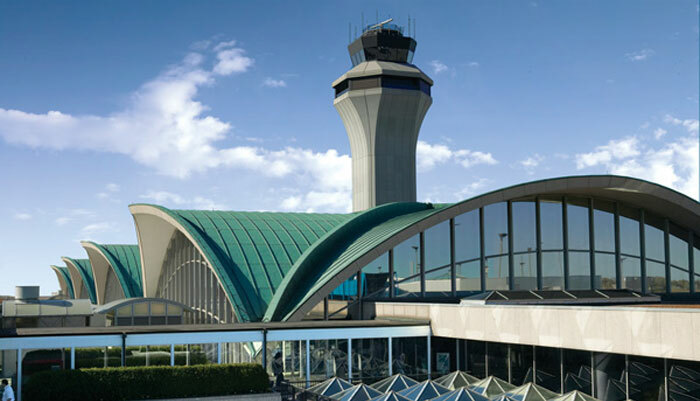 (KCPS) St. Louis Downtown features three runways to accommodate flights: Most utilize runway 12R/30L: 7,001-foot; pistons and turbo props can make use of either runway 12L/30R: 3,800-foot concrete; or runway 5/23: 2,799-foot asphalt. Ideal Aviation operates an FBO out of the West Ramp, with 24/7 service, excellent amenities, and overnight hangars for up to a Falcon 900. CPS opened in 1929, and is one of the first airports in the area. Many famous aviation pioneers used the airfield, including Charles A. Lindbergh, Amelia Earhart, and Jimmy Doolittle. If you have an appreciation for aviation history, head over to Historic Hangar #2, where you’ll find the Greater STL Air & Space Museum. It continues to serve as home to the nation’s oldest flight school, Parks College of Engineering and Aviation’s Center for Aerospace Sciences, which holds CAA Flight School Certificate #1. Named after the famous Charles Lindbergh aircraft that completed the world’s first non-stop transatlantic flight, the Spirit of St. Louis Airport (IATA: SUS, ICAO: KSUS, FAA LID: SUS) is a preferred business aviation hub for flights traveling to Greater STL and the surrounding Midwest, and is located around 15 miles west of downtown. Private flights can utilize two parallel runways; Runway 8L/26R measures 5,000 ft x 75 ft, and Runway 8R/26L is a 7,485-foot long, all-weather, ILS-equipped runway. (KSUS) Spirit of St. Louis Airport is home to more than 150 aviation specific businesses, offering outstanding resources for pilots, passengers, and businesses. 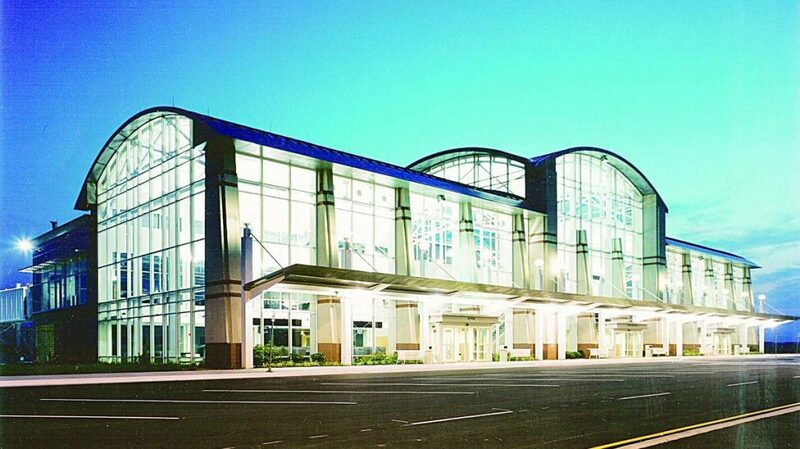 There are three FBOs at the airport, and customs services are available on-site. If you’re heading to the northside of the region, we can arrange for your private flight to arrive at St. Louis Regional Airport (IATA: ALN, ICAO: KALN, FAA LID: ALN), located in Bethalto, Madison County, Illinois. KALN is located about 30 minutes to the north , allowing business and leisure flyers the ability to arrive closer to their destination. (KALN) St. Louis Regional offers two runways: 17/35, a 6,500-foot asphalt runway, and 11/29, an 8,101 foot asphalt runway. The airport features an ILS approach and tower-controlled class D airspace, allowing it to accommodate airliners such as a Boeing 747. West Star Aviation runs the FBO. Request a Quote or give us a call at 1-888-987-5387 to speak with one of our brokers for your next luxury vacation, business trip, or special event.